The first time I talked to Jessica was through a local Facebook wedding resale group. She had commented on someones post about cutting boards that she created for a client. 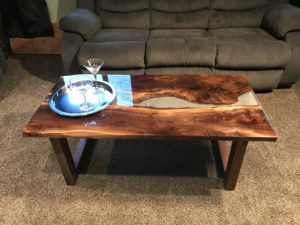 I reached out to get more information and to see some examples and I was floored at the beauty of the wood creations that is created through Wood Thingamajigs. 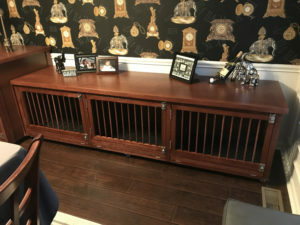 We are a local woodworking company. We specialize in custom work. 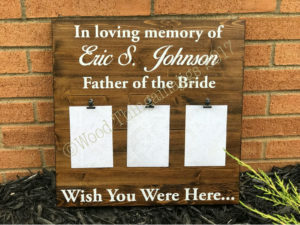 We make everything from wedding signs, cake stands, bride/groom/wedding party gifts and so much more. I was born and raised in Norwood, Massachusetts. In 7th grade, I took wood shop and found a love for woodworking! After high school I went to and graduated from the United States Military Academy at West Point. After finishing active duty I moved to Northeast Ohio and started this company. I have long had a passion for weddings. 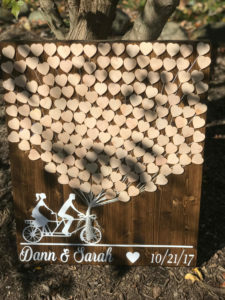 It’s a true pleasure to use my passion for woodworking to make a mark in the wedding industry. We love that we are seeing more modern trends. From clean lines to bold colors. The fact that I love what I do and love going to work every day! The more information the better for us. Most customers come to us with a vision in their minds. They support that with pictures. If you can show us pictures and say I like this but not that we can definitely recreate what’s in your minds eye. Time relaxing at the beach. But I haven’t had a day off since I started the company. And I couldn’t be happier about that fact! I’m inspired by the idea of setting a good example for my children. I want them to go on in life and see how hard mom and dad worked and see what we got out of life because of our efforts. Tough question! Considering all of my business is run with my phone, that is one of them. Next would be great tools to work with. Finally, our loyal customers that come back again and again. I am reading a book called “Purple Cow”. What would you tell your 16-year-old self if you could? Don’t give up on your dreams! Work hard and they will come true. Jack Daniels with Diet Coke and a lemon. 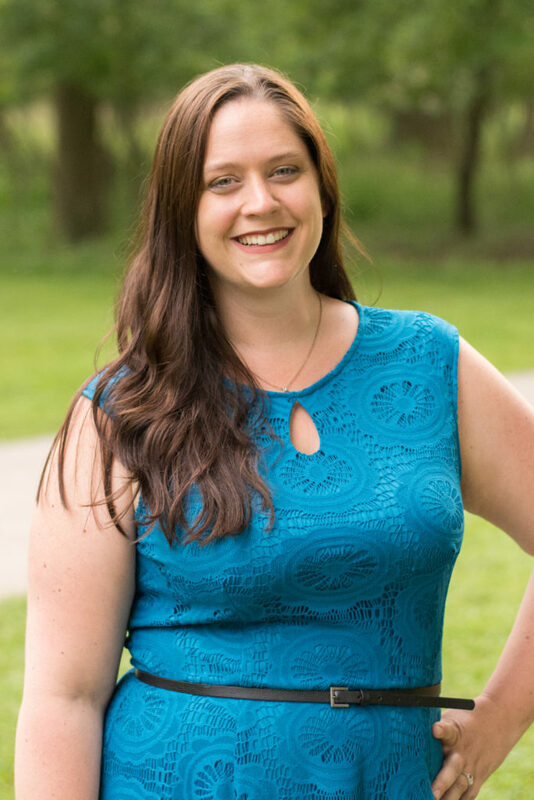 Thank you so much to Jessica for taking the time to answer some questions.